The seminar will cover the following modules: Diagnosis, Prognosis, Treatment, Communication, Feelings, Depression, Repetitive Behavior, Paranoia, Hallucinations, Wandering, Hoarding, Aggressive Behaviors, Catastrophic Reactions, Intimacy and Sexuality, Personal Care, Pain, Nutrition, Activities, Environment, Staff and Family Support, Diversity and Cultural Competence, Spiritual Care, and End of Life. • Please make checks payable to Insight Memory Care Center. 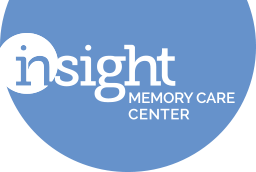 Mail the completed brochure and payment to: Insight Memory Care Center, 3953 Pender Drive, Suite 100, Fairfax, VA 22030. Space is Limited. Payment must be received by May 30th to ensure course enrollment. Lunch is on your own. There will be an hour for lunch in the schedule. No form of taping is allowed nor are laptops permitted in the seminar. A Student Handout Notebook will be provided.